Seaspan Shipyards (Seaspan) has awarded INDAL Technologies Inc. (INDAL) of Mississauga, Ontario, a contract valued at almost $20M for work on Canada’s new Joint Support Ships (JSS). 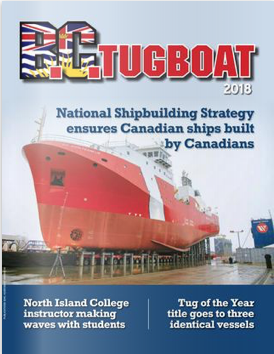 INDAL represents one of more than 60 Ontario suppliers to date that Seaspan is working with to meet its commitments under the National Shipbuilding Strategy (NSS). – Seaspan operates three yards with a combined workforce greater than 2,500 people across its yards in North Vancouver & Victoria. – To date, Seaspan has awarded over $690M in contracts to approximately 540 Canadian companies, with nearly $230M in contracts awarded to Ontario-based companies. – INDAL is based in Mississauga, Ontario, since its incorporation in 1951 under the name Dominion Aluminum Fabricating Ltd., the company has developed its engineering design and manufacturing capabilities and today is heavily involved in systems integration and testing. – The company has over forty years of experience with equipment for shipboard aircraft operation, its personnel are uniquely trained and experienced in designing and building system solutions for handling aircraft and UAVs onboard ships in the toughest possible environments. – INDAL is positively impacted with 38 person-years of direct employment as a direct result of its work under the NSS.